In this classic work, Veblen sets forth his theory that the economic life of modern society is rooted in the division of labor dating back to tribal times. That is, that the ruling or leisure class reserved what they considered the most important tasks—such as warring and hunting—for themselves, while dictating tasks such as farming or cooking to the lower echelons. In the book, Veblen famously coined the term "conspicuous consumption." 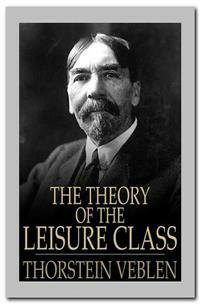 Still relevant today, The Theory of the Leisure Class remains a landmark work in the fields of economics and sociology.